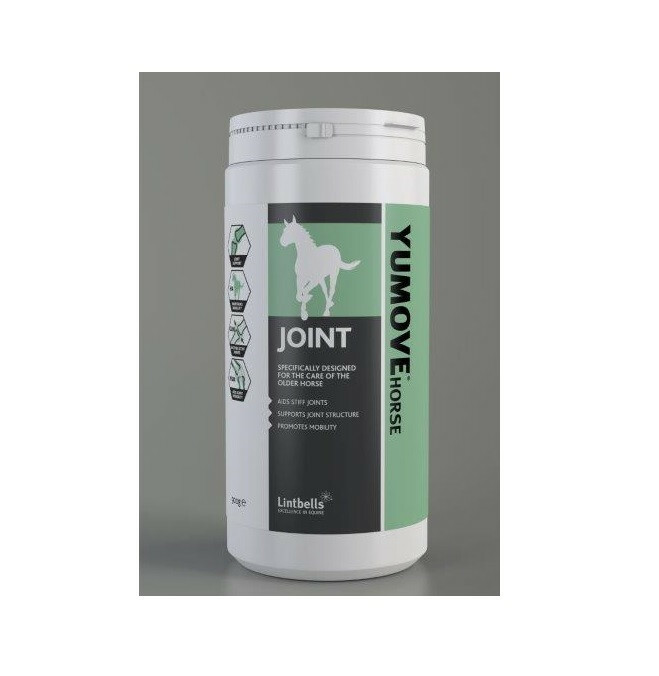 YUMOVE Horse JOINT supplement provides a unique combination of proven active ingredients to help soothe stiff joints, support joint structure and promote mobility. High levels of the purest Glucosamine HCl (99.8%) provides the core building blocks of cartilage. Natural Chondroitin, sourced from ActivEase® Green Lipped Mussel helps to maintain healthy joints for longer. 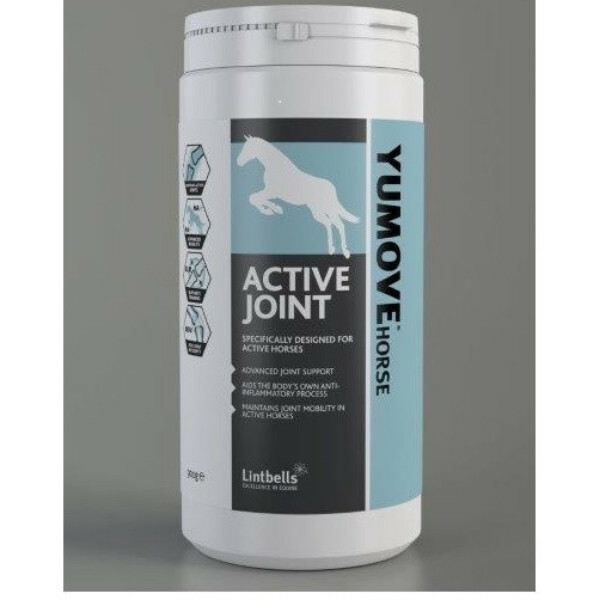 • MAINTAINS MOBILITY Hyaluronic Acid is a major component of synovial fluid, which helps lubricate and cushion your horse’s joints. Vitamin C and Vitamin E also provide powerful antioxidants to help maintain mobility neutralising free radicals in the joint. Triple strength ActivEase® Green Lipped Mussel contains concentrated levels of two unique Omega 3 EFAs, proven to help soothe stiff joints, and maintain your horse’s mobility. The unique cold vacuum extraction of ActivEase® Green Lipped Mussel provides 4 x higher levels of Omega 3, compared to standard Green Lipped Mussel, aiding the body’s own anti-inflammatory process. For older or stiff horses, use twice the daily recommendation for the first 4-6 weeks. 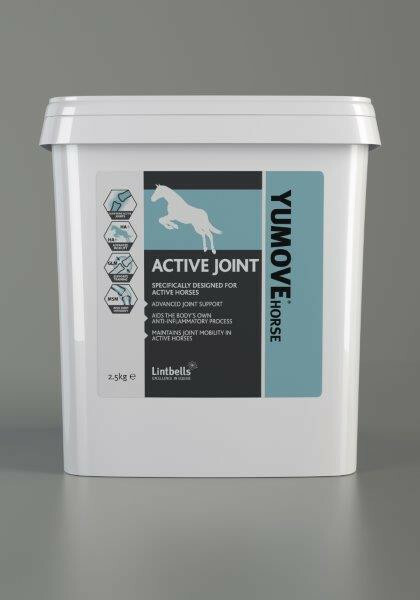 Maintain your horse’s joint health during exercise with YUMOVE Horse ACTIVE JOINT, specifically designed with increased levels of key active ingredients. High levels of the purest Glucosamine HCl (99.8%) provide the core building blocks of cartilage. Natural Chondroitin, sourced from ActivEase® Green Lipped Mussel, helps to maintain healthy joints for longer. 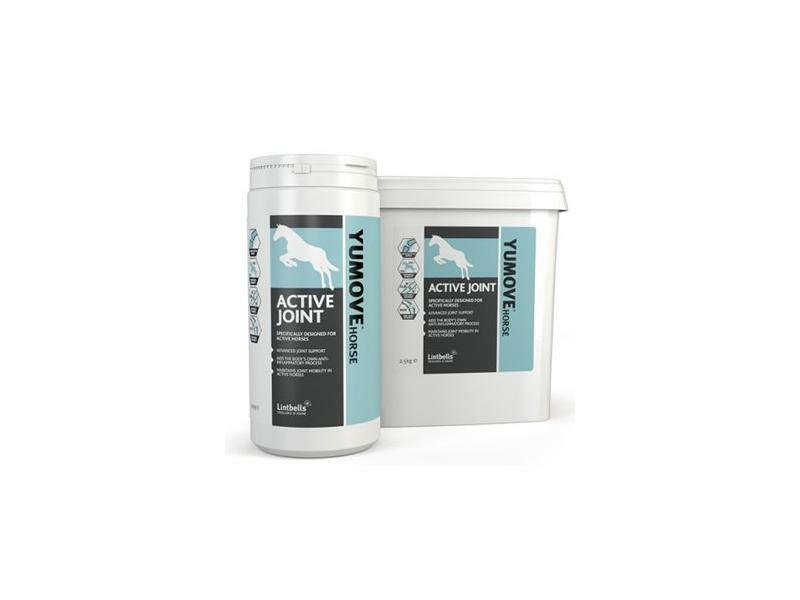 Increased levels of Hyaluronic Acid provides maximum support for the joint, helping to lubricate your horse’s joints and cushion them from impact during rigorous exercise and training. Vitamins C and E also provide powerful antioxidants to help maintain mobility, neutralising free radicals in the joint. Higher levels of triple strength ActivEase® Green Lipped Mussel provides increased amounts of two unique Omega 3 EFAs to aid the body’s own natural anti-inflammatory process after rigorous training. This helps to ease stiffness after exercise and maintain mobility. Scientifically proven levels of MSM helps to support the structure of connective tissues surrounding the joint and aids muscle recovery. It has also been shown to support recovery after exercise. 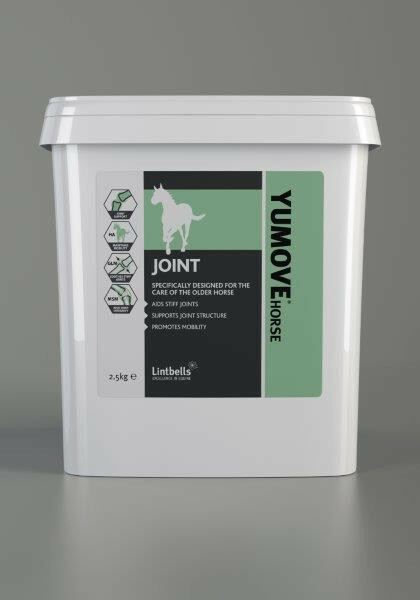 Below are some recent questions we've received regarding Yumove Horse Joint, including answers from our team. What are the actual quantities of ingredients? How much of each ingredient is contained in a dose please? The dog version shows active ingredients in mg but the horse one doesn't - this makes it hard to compare to similar products. The Difference between the 2? When would you opt for the more expensive, because more concentrated, version "Active Joint" (as opposed to "Joint")? The lady at Lintbells has informed me that the "Joint" version is for normal horses with general joint complaints. 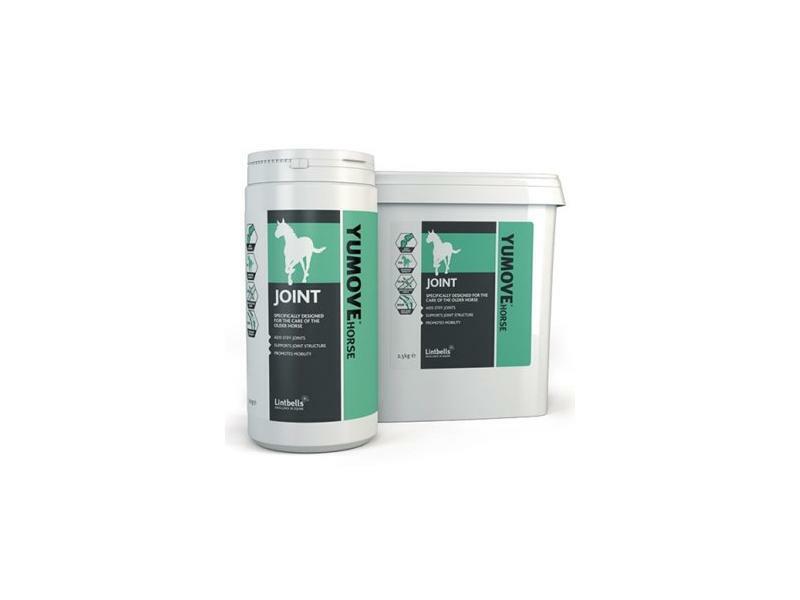 "Active Joint" is used for older horses and basically when the regular "Joint" formula isn't enough. "Active" is a concentrated version of "Joint". How long will this last my horse? How long will a tub last for a horse? Horses are fed one 30ml scoop daily and a 900g tub would last 30 days, and a 2.5kg tub would last 68 days. It is possible to use a double dose for 4-6 weeks for older horses and horses with signs of stiffness. If using a double dose, a 900g tub will last 15 days and a 2.5kg tub will last 34 days. How long does a 900g tub last? How long does a 900g tub last, if the dosage is 1x30ml daily? A 900g tub would last a horse 30 days if fed one 30ml scoop daily. A 900g tub would last a pony, fed 15ml (1/2 a scoop) daily, 60 days. If you wish to double dose initially, 900g would last a horse 15 days and a pony 30 days.